This entry was posted on Monday, July 29th, 2013 at 4:02 am and is filed under Uncategorized. You can follow any responses to this entry through the RSS 2.0 feed. You can leave a response, or trackback from your own site. It’s definitely a two-edged sword to use fleas as weapons if you have a body that includes animal parts. However, it looks like boss mode 2 about to open up. Aww poor Polly. 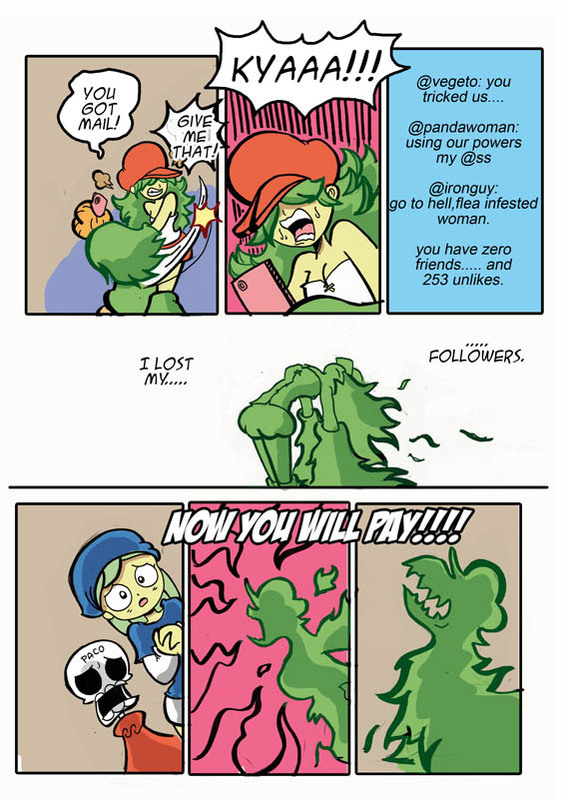 I feel sorry for her now..
I’ve been there, I also lost my followers in twitter and they never came back… DESTROY PACO, POLLITA!! DESTROY PACO!! !